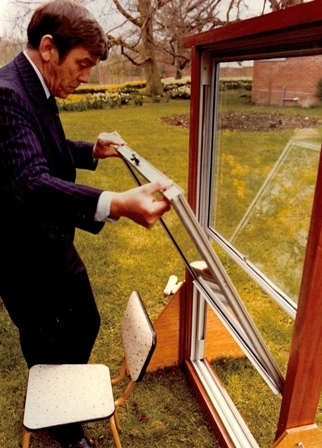 Anglian Home Improvements have had the Knight in their logo since they first began trading in 1966. It is a symbol of pride, reliability, protection and leadership it has become the identity of the brand. 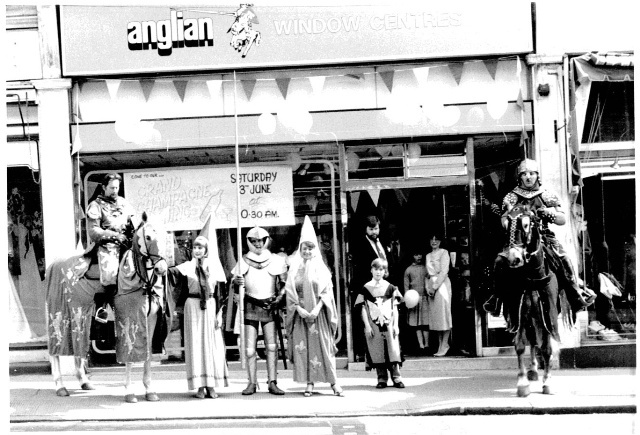 The big question is ‘why is he in our logo?’ I have been digging into the Anglian archives and talking to members of staff who have been with the company for many years to find out more about the Anglian Knight. This is the Wimbledon showroom. Williams was building a firm that people could trust, a company that is reliable and producing a product that protects your home from the elements. The Knight was a figure that portrayed all of these values beautifully and so he became the leading icon for the Anglian brand. The company started to tie in the names of their products with the Anglian Knight: White Knight is the colour of our PVCu windows; Royal Knight represented dark woodgrain; Excalibur and Camelot have been names for our aluminium range of windows; Dual Knight was representative of our dual coloured windows and we also did a range of windows called Castle, which have since been discontinued. It was not just products that were tied into the theme of the Knight; employees were rewarded for 10 years of service with a gold Knight tie pin, although this stopped quite a few years ago. The incentive was changed from the tie pin to a branded carriage clock, a small reward for being a loyal worker. 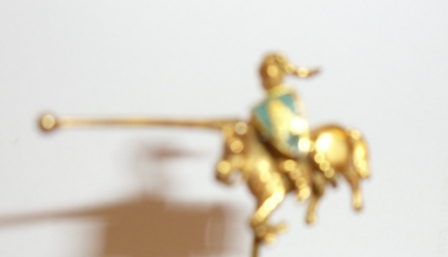 An Anglian Knight gold tie pin; it is very small which is why the picture is a bit blurred. The Anglian Knight has had many different looks and he had a complete makeover in 1997; the old Knight had become dated, he needed to be brought into the present and since then he hasn’t changed very much. 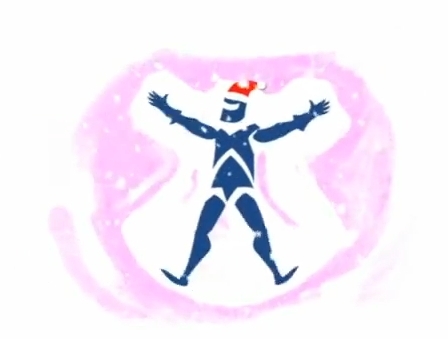 In 2006 the Knight disappeared for a short period, but he returned stronger and more prominent than ever, brandishing the ‘Raising the Standard’ slogan with him, communicating Anglian’s brand promise more clearly than ever before. 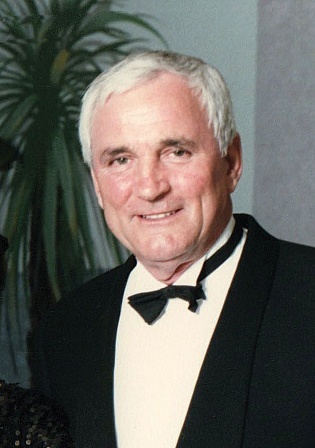 In recent years he has starred on numerous different adverts of the last decade and featured in the sponsorship of ‘The five o’clock show’ running to the sofa to watch the programme as it began. Most recently he was featured in the Anglian weather ident. There is also a football team in Norwich called the Anglian Knights that is run by employees of the home improvement company. 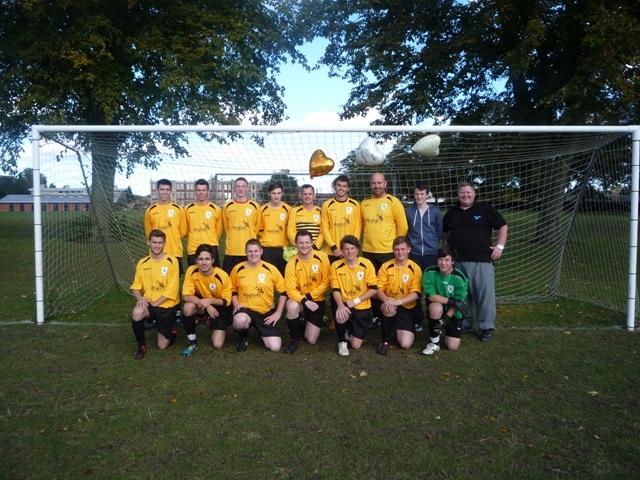 The Anglian Knights in their away kit – picture taken earlier in the season. 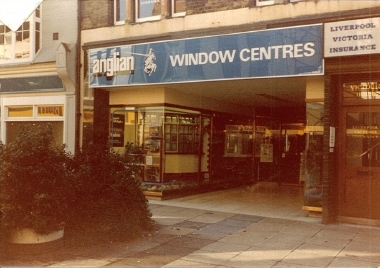 The Knight has been the lead figure for Anglian Windows for over 45 years, bringing with him a bold, confident, trustworthy reputation. What memories do you have of the Anglian Knight or any other classic logos? We would love to hear your stories about the Knight, so please feel free to comment below. If you are interested in winning £5,000 worth of Anglian Windows then click here to find out how to enter.